Amsterdam-based Studio OBA has proposed a floating house design so that so unhappily married occupants can cast their spouses adrift. This project, rightfully named - Prenuptial Housing has emerged as a result of the rising divorce rates in Amsterdam. 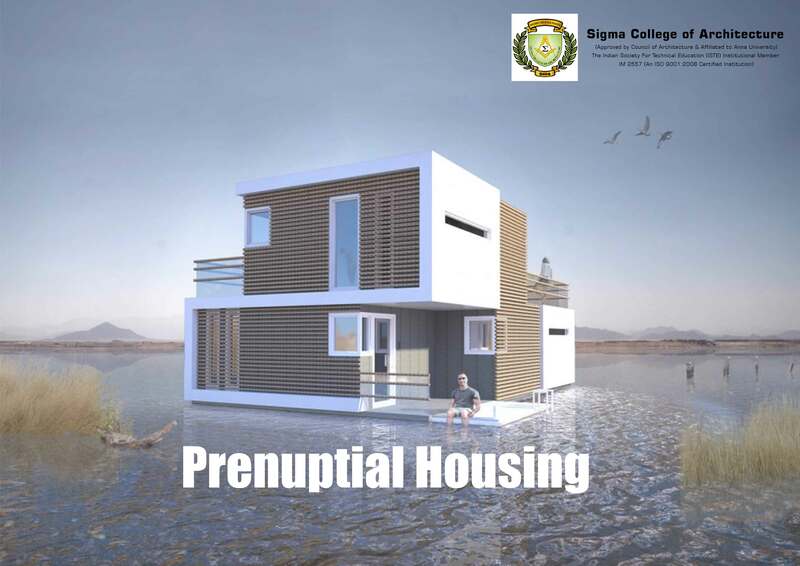 Prenuptial Housing is the brainchild of self-proclaimed PR and pop culture expert Omar Kbiri. The building is designed to be constructed from lightweight carbon fibre and timber components that will help it to float. It has two independent structures that slot together in a Tetris-like formation to form a home for a couple. But a simple connecting mechanism is designed to allow the two parts of the building to disengage and float apart should the relationship turn sour. “As we all live in Amsterdam and see many houses in the canals, the idea of a separable floating house emerged quickly and with the increasing number of divorces each year, our concept is regrettably becoming more and more relevant," said Kbiri.